Looking for a travel trailer for sale that is affordably priced, doesn’t skimp on features, and is lightweight? It might seem like a tall order, but the Crossroads Sunset Trail Super Lite delivers all that and then some. 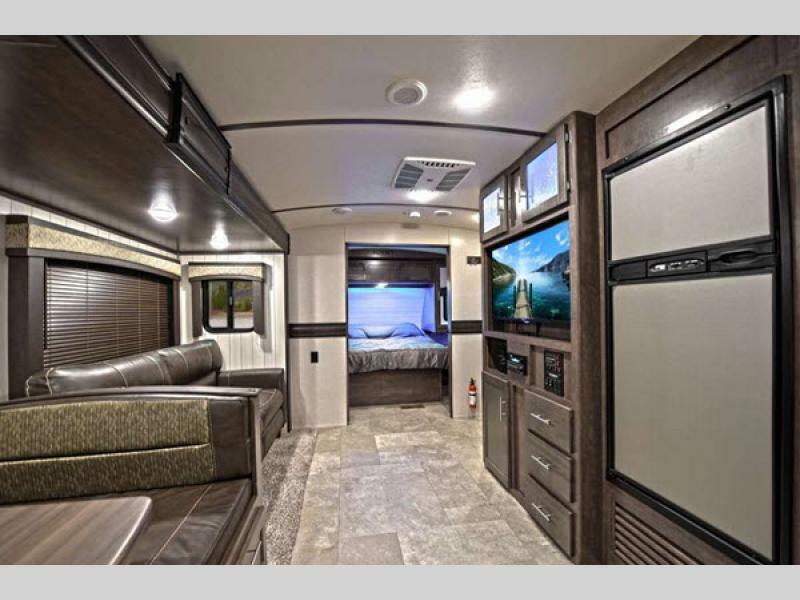 From the luxurious interior to the unique towing abilities, you’ll love every aspect of this RV. Learn more in our 2019 Sunset Trailer Super Lite review. Just because you’re traveling in an RV doesn’t mean you need to miss out on space and comfort. The Sunset Trail Super Lite bathroom was designed to be spacious and provide storage space for all of your toiletries. You’ll love the beautiful decor and the fact that you’ve got a skylight above your shower so you can enjoy the great indoors even while inside. A large living room is important for the entire family to enjoy. You’ll appreciate how everything comes together to provide a space that’s ideal for game playing, eating together, and watching movies. This is the place where you’ll socialize and you won’t have a problem doing so. A great kitchen is an important part of enjoying any RV experience. After all, the bonus of RVing is that you have a kitchen wherever you are. So you can always cook delicious, healthy meals for you family. You’ll love how every Sunset Trail Super Lite floorpan comes with a kitchen that is enjoyable to cook in and includes a range of features you’d expect to pay more for. If you’re interested in learning more about available Sunset Trail Super Lite travel trailers for sale, contact us. 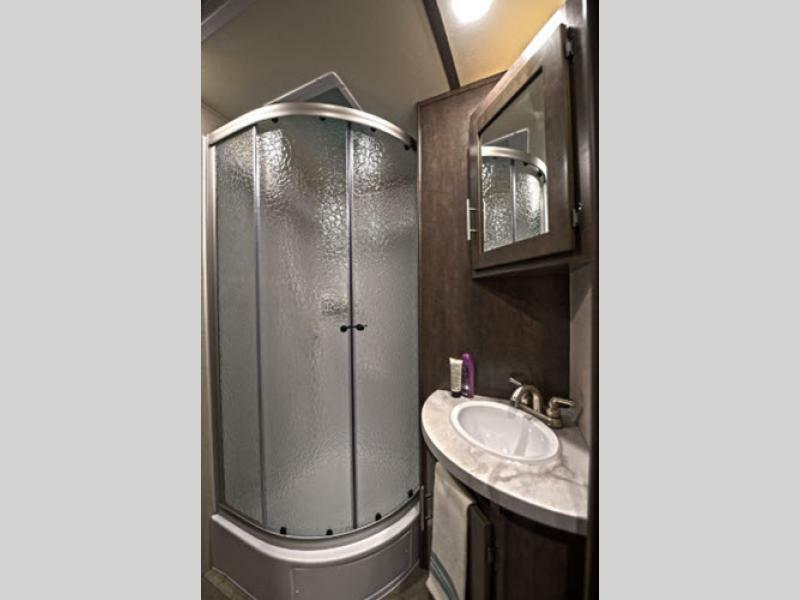 We can answer any questions you have and would love to walk you through available units so you can see what these impressive RVs are like in person.